As required by California Law, all youth sports organizations must comply with concussion protocols. 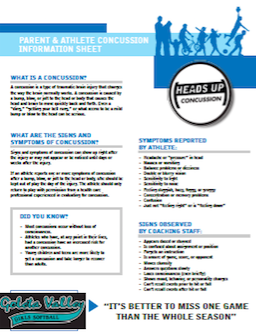 Each player/parent must sign the Parent & Athlete Concussion Information Sheet acknowledging that they have been provided with this important information. Please provide the signed document to your team manager/coach or a GVGSA representative.